She (my wife…image below) likes gold coins. My wife is part Native Hawaiian, part Okinawan, and part Caucasian. It’s befitting for her to have her own Hawaiiana collection. I gave her my Princess Kaiulani collection (gold, silver and other metals). 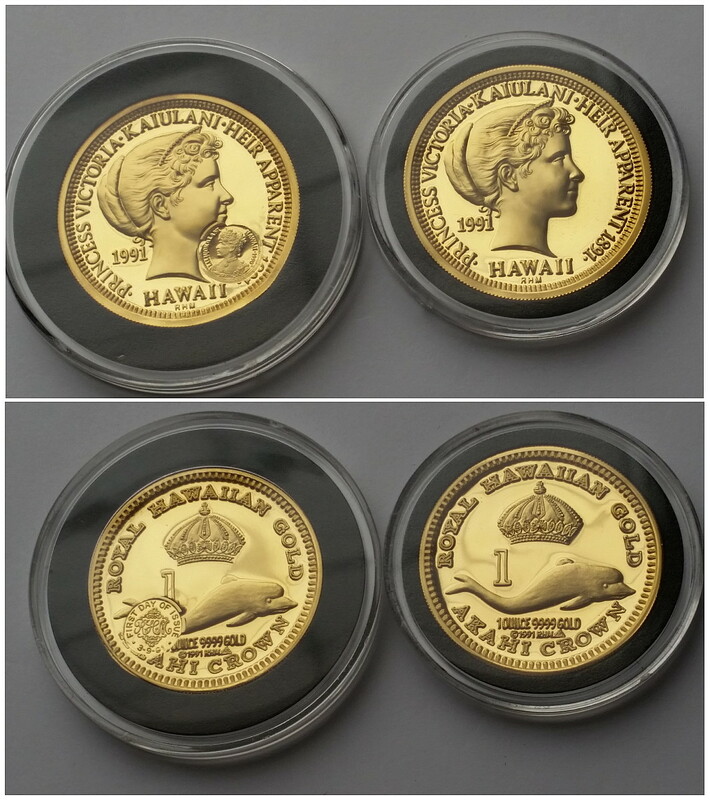 She adores each of the 1 ounce gold Princess Kaiulani issues from the Royal Hawaiian Mint. One of the difficulties in collecting Royal Hawaiian Mint® (RHM) issues is the lack of a comprehensive reference book for collectors. Information is scattered and incomplete among several resources. As an avid collector of the RHM Princess Kaiulani series, this lack of a collector reference book is a hinderance. While acquiring my RHM Princess Kaiulani collection, I have been compiling notes and have gained a good understanding of this series. As such, this information should be shared with other collectors as a numismatic resource. 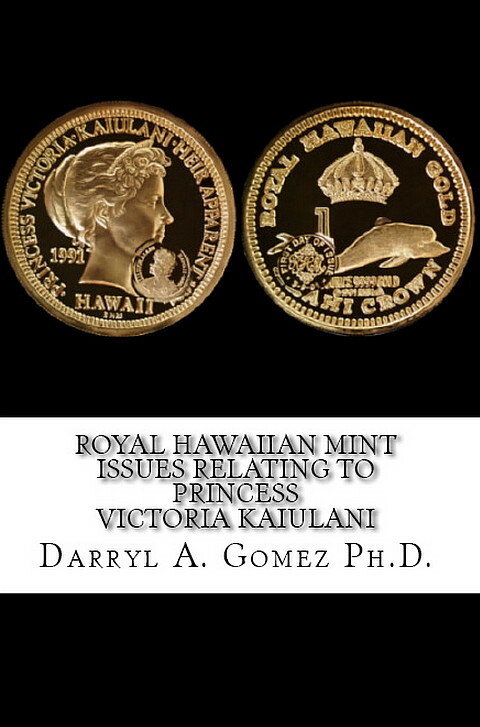 I plan to release a book with working title: Royal Hawaiian Mint® Issues Relating to Princess Victoria Kaiulani. Actual 2015 release date is TBD. From my count, the RHM Princess Kaiulani series consist of over 50 pieces. In comparison the Wafs in Gold Boots (RHM database) identifies roughly 34 pieces. I’m still in the draft copy stage of this book. However, a working book cover (with currently selected title) is shown below along with a draft page. 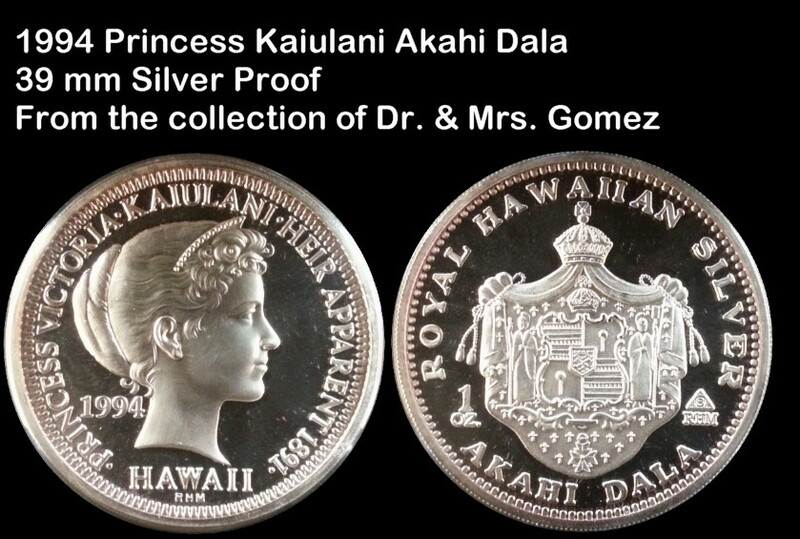 If you notice, the 1991 Princess Kaiulani Akahi Crown (in gold) with First Day Issue counter stamp on the book cover is NOT documented in any numismatic reference book. 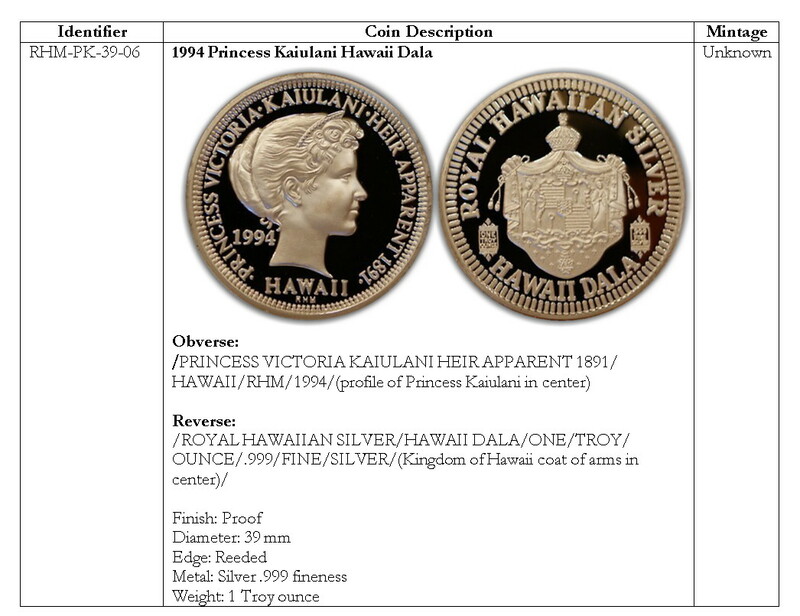 In addition the 1994 Princess Kaiulani Hawaii Dala is also NOT documented in any numismatic resource. Hopefully, by sharing these two unknown Princess Kaiulani issues it will generate interest for the book prior to its official release in 2015. (Click to enlarge) Color images are planned. (I’ve mastered the technique to generate a slight shadow around the coin). I finally completed my 1994 Princess Kaiulani Dala Set. 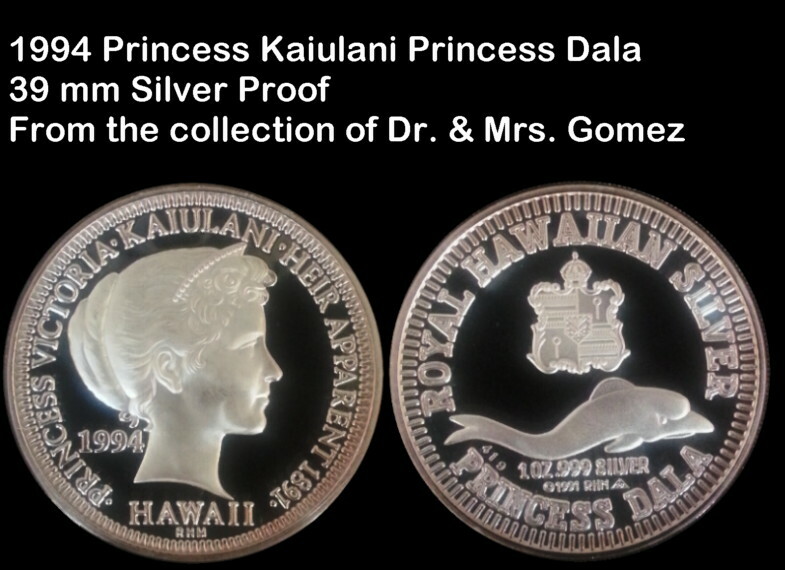 Each coin has a 1994 Princess Kaiulani obverse. Each coin also has a different design reverse. 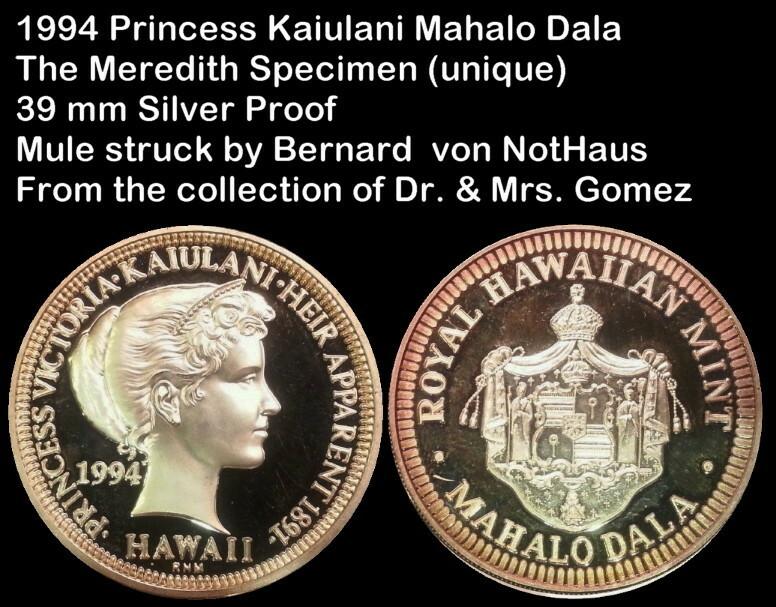 Three of the specimens are not listed in the Royal Hawaiian Mint (RHM) database which makes this set rather unique and unknown to most Hawaiiana collectors. I originally identified the Princess Dala and Akahi Dala error in the RHM database (search for the blog entry on this finding). Later, I obtained a mule specimen of the Princess Mahalo Dala. I have a letter of provenance from the original owner. This is a unique specimen with only 1 known (The Meredith Specimen ) . (Search for the blog entry on this finding). Recently, I acquired a very limited struck Princess $10 Dala specimen at a very reasonable price. I actually had a NORFED broker search for a specimen for me. He located only one. Unfortunately, the price was $1,500 (not a typo). The seller was out for cash and my response was ” NO WAY!”. It’s a very tough coin to locate according to the NORFED broker. This coin has an estimated 20 coin striking. 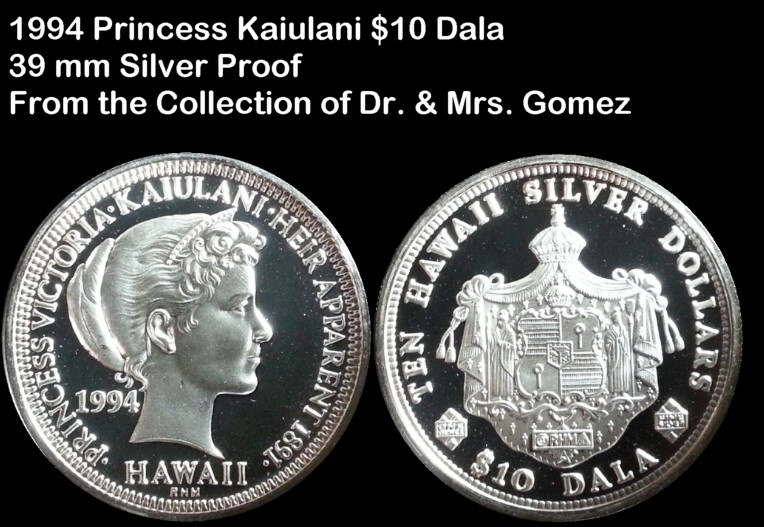 The following images are the four coins that are part of this rather unique 1994 Princess Kaiulani Dala Set.